DO YOU HAVE AN ARBITRATION AWARD/Settlement Agreement IN YOUR FAVOUR and your employer will not comply therewith urgently contact us we will help you to obtain what you have won in terms of the Award!!!! 86 Juta Street Corner Melle & Juta Streets inside the Labour Court Building named Arbor Square Building. We are in the same building as the labour court on the ground floor. We are presently providing free parking to clients who arrange in advance!! Goldberg Attorneys April 2019 Labour Law Attorneys - Johannesburg Braamfontein Gauteng - correspondent work at Labour Court and Constitutional Court, CCMA and bargaining councils we do it all. Your employment specialists and attorneys at the Labour Court Braamfontein! Contact us on 0114030015...0832607530 (Andrew) email andrew@goldbergs.co.za - your correspondent attorneys at the Labour Court. Goldberg Attorneys (lawyers) is an easy to find law firm. Employees and Employers both welcome. Offices are in the same building as the Labour Court Braamfontein Johannesburg Gauteng = Arbour Square Building!!. We are the best labour attorneys / labour lawyers. If anyone can win your case it is us! Do not settle for less than the best! Goldberg Attorneys have an impeccable record having won most of their cases!! Presently we have 15 costs orders we need to cash in on!!! We are very busy handling the thousands of cases that are referred to us on a monthly basis and as such should you not get through please pop us an email or call us on the alternative number 0113395102. We want your case!! Do you have an Arbitration Award in your favour - if so we can help you enforce it wherever you are be it Mphumalanga, North West or KZN or even the Cape - we work out of the Johannesburg, Cape Town, Port Elizabeth and Durban Labour Courts. Let Andrew Goldberg who has acted as a Judge of the Labour Court handle your matter! Watch Mr. Goldberg on TV dealing with Labour Issues. We are now over 7 years old having celebrated our 7th year anniversary last month still going strong - no itch !!! We do CORRESPONDENT work at less 1/3 - call Andrew on 0113395102. We do filing of cases at the Constitutional Court - Remember you need 25 copies! Goldbergs have had over 60 cases reported on the internet !! Generally - the failure by a Commissioner to call upon the parties to present oral evidence means that the parties are unable to give direct testimony and defeats the ability to conduct cross-examination. Further the use of a stated case limits the Commissioner’s ability to decide the matter. Generally an award is only valid for three (3) years and as such where the Company takes no action you must apply to make the Award an order of Court - the application stays prescription and once it is made an Order then it is valid for thirty (30) years. “ … the applicant’s review application is accordingly deemed to have been withdrawn in that he failed to file the record on review within sixty (60) days from the date he was notified by the Registrar in terms rule 7A (5) that the record had been received by the Court and that it may be uplifted. Further the applicant was meant to apply to reinstate his review application but he only seeks condonation in this regard. The reasons given for the lateness here is set out as the withdrawal of the applicant’s previous attorneys and the mistaken belief by the applicant and the applicant’s present attorneys that the previous attorneys had complied with rules 7A (6) and (8).
" Whereas the applicant sought to apply for condonation for the late filing of the record in a separate application it is clear from what is set out above that he should have also sought to apply for the Court file to be retrieved from archives and dealt specifically with the issue of good cause. It is my firm belief that without such an application and without dealing with such issue that the applicant’s review application remains withdrawn. Further such application for condonation is not paginated separately; same comes belatedly, and no condonation is sought for such further lateness (the late filing of such application itself)." I refer to the above judgment. I have thoroughly enjoyed reading your judgment! Its style and content inspired me to read on and learn. I especially appreciated the manner in which you referred to authorities. In the final analysis the manner in which you administered the case gave me confidence in the justice system. Thank you for this contribution to South Africa’s labour law jurisprudence. attorneys.co.za lawyers.co.za findanattorney.co.za all the best for 2015 !! Goldberg Attorneys is a Boutique law firm specialising in Labour Law and in particular in Labour Court matters - Labour Court referrals, drafting of pleadings including complex review applications, rescissions, exceptions, opinions, heads of argument, review applications, urgent applications; joinders / legal representation; Opposing review applications on a minimal fee basis; Contempt applications, Drafting Statements of Claim concerning collective retrenchments, strikes and discrimination. Judge’s directives on retrenchments, strikes and racism. drafting bill of costs and attending taxation, arbitrations, Labour Appeal Court - Appeals, submissions, heads of arguments and arguing before Court. We also do CCMA arbitrations and disciplinary hearings as well as human resources policies and industrial relations. Let us do the work and you get the money pouring in! 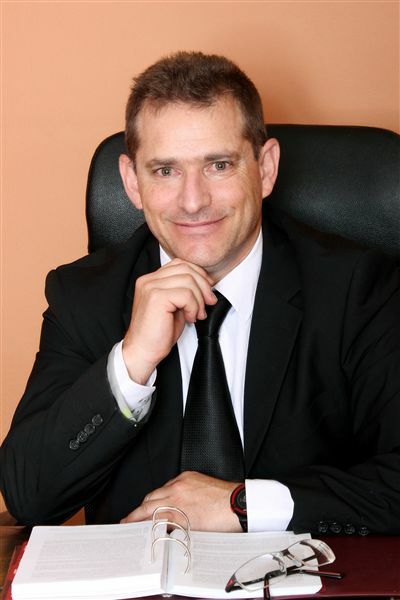 Goldberg Attorneys is a labour law boutique firm conveniently situated in the same building that houses the LABOUR COURT, namely Arbor Square headed up by 🎓 Mr Andrew Goldberg (14 years' experience in Labour Law). I LOVE 😍 what I do - you'll find me in COURT. We now host disciplinary hearings at our offices in Braamfontein with an appointed independent chairperson, interpreter, and recording system. Please book in advance with Keegan to secure a date and time. Mr Goldberg, the owner, has the most appearances and reported cases of any single Labour Attorney in the last four years. Mr Goldberg is a well-spoken, trustworthy, confident individual and runs cases from start to finish including urgent interdicts and complex matters all by himself. Mr Goldberg is also a well-known and respected attorney at the Labour Court with over 800 appearances at Labour Court and 10 at Labour Appeal Court. New Reported case hot off the press - Maye Serobe v Lewusa obo Members J2377/12 Concerning the possibility of a review/setting aside a settlement agreement - alleged that the agent lacked mandate to conclude the settlement agreement and/or that he was coerced/forced, the actions of the agent, powers of agent to bind the Principal/Company. Phone us on 0114030015 or 0832607530 (Andrew) for a copy of this groundbreaking judgment of Rafelatane AJ. Motswi v Maxi Security and Others (JR1923/03)  ZALCJHB 173 (18 July 2013) http://www.saflii.org.za/za/cases/ZALCJHB/2013/173.html) Summary : Rule 22 of the Labour Court Rules, joinder of parties to proceedings where an Order of Court has already been handed down; necessity of audi alteram partem principle. 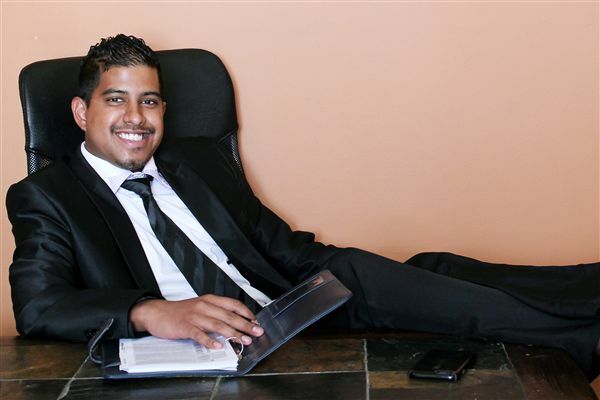 ADT Security (Pty) Ltd v Commission for Conciliation Mediation and Arbitration and Others (JR 667/2011, J 515/2013)  ZALCJHB 302 (12 November 2013)Review of CCMA arbitration award – miscategorising dispute as that of incapacity instead of misconduct. Mokhwele and Others v Courier Freight Group (JS220/2011)  ZALCJHB 82 (20 March 2014) http://www.saflii.org/za/cases/ZALCJHB/2014/82.html Objective discrimination allowed. The simple fact is that the State Attorney and the Department did not comply with the order of this Court of 17 October 2012. In this regard, Mr Goldberg helpfully referred me to the case of McNally N.O. & others v Codron and Others  ZAWCHC 17, a judgment of 9 March 2012 of Yekiso J. In that judgment, Yekiso J noted (in para 17) that, in terms of High Court Rule 26, any party who fails to deliver a subsequent pleading within the time stated in Rule 25 shall be ipso facto barred. The learned judge then goes on to find that an exception is in fact a pleading as contemplated in the rules. In this Court, in a number of cases, for example, in Eagleton v You Asked Services, (JS309/05, 18 July 2008), Basson J held that while this Court’s rules do not deal specifically with exceptions, the High Court rules have to be adopted. And Basson J referred in that regard, in paragraph 15, to the principles dealing with exception and the purpose of a statement of claim set out by Waglay J, as he then was, in Harmse v City of Cape Town  24 ILJ 1130 (LC) at paragraphs 6 to 10. Very recently on 6 January this year, my brother van Niekerk J gave judgment in the case of Makhanye v South African Airways (JS 265/13), and dealt with an analogous position where an earlier order of this Court granted one party, the applicant in that case, leave to amend his statement of claim within 30 days of the date of the order, failing which the claim would be regarded as dismissed. In that case, as in this one, the party did not comply with the time period set down in an order of Molahlehi J. “There is no application for condonation that accompanied the amendment to the statement of claim, and at no stage has the applicant sought condonation from this Court for what amounts to a breach of the order. We are not dealing here with the breach of a regulation or a rule or a directive. The applicant has acted in breach of a court order, thereby placing himself technically in contempt of this Court. The terms of the order granted by Molahlehi J on 24 July 2013 are clear - if the applicant failed to file the amended statement of claim within the prescribed period of 30 days, his claim would be regarded as being dismissed. I see no reason, given particularly the absence of any application for condonation or indeed any explanation whatsoever for the late filing of the amended statement of claim to consider that the consequence foreshadowed by Molahlehi J’s order should be any different. On that basis alone, the referral of the applicant’s claim stands to be dismissed. Potgieter v Tubatse Ferrochrome and Others (JA71/12)  ZALAC 32 (12 June 2014) Reinstatement appropriate where no proof that whistleblower acted in bad faith. Labour Appeal Court. Judgment confirmed by the Constitutional Court with costs. Palierakis v Atlas Carton & Litho (In Liquidation) and Others (JS1039/10)  ZALCJHB 313; (2014) 35 ILJ 2839 (LC) (20 June 2014) http://www.saflii.org/za/cases/ZALCJHB/2014/313.html Sale of business as a going concern. Alleged transfer of business in terms of Section 197A (1) of the LRA - Application of common law compromise and scheme of arrangement. Application of section 311 of the Companies Act of 1973 to the provisions of 197A (1) (b) of the LRA. Labelling of an agreement as being governed by section 197A(1) of the LRA does not meant that it is automatically governed by it. Protea Coin Group (Pty) Ltd vs MTWU & Others (Maekela) Case No: JR210/11 Leppan AJ Heard: 8 July 2014 Delivered: 25 September 2014 Review application: grounds for review; failure by Commissioner to provide reasons for adverse credibility finding. Mapolisa v Williams NO and Others (JR1011/12)  ZALCJHB 399 (15 October 2014) Evidence – commissioner admitting hearsay evidence in evaluating misconduct of employee who was employed as a metropolitan police officer who was found to have assisted her boyfriend to escape police custody. Probabilities still pointing to the employee committing the misconduct – dismissal fair. Sylvania Metals (Pty) Ltd v Mell N.O and Others (JR 3246/11)  ZALCJHB 35 (12 February 2015) Molahlehi, J. Review application. The employee dismissed for doing work without the relevant work permit. The Commissioner finding the employee guilty of insolence which he says is different from insubordination and therefore the final written warning for insubordination not applicable for that reason. Maye Serobe (Pty) Ltd v Lewusa Obo Members and Others (J 2377/12)  ZALCJHB 116 (9 April 2015) review and set aside a Settlement Agreement that was not made an award; the agent lacked the mandate to conclude the Settlement Agreement; the actions of the agent bind the principal; no duty on the Commissioner to save-guard against exceeding of mandate; review application dismissed. Can you even review a Settlement Agreement? NO! Jordex Agencies v Gugubele N.O and Others (2971/12, J1609/12)  ZALCJHB 87 (11 March 2015) Summary: The employer with the aid of the employees sought to change the working hours but failed to take into account the circumstances of the cleaner. The commissioner's decision that her continuous act in breach of a new timekeeping rule in that she always left early in order to catch the last bus home amounted to an unfair reason to dismiss was not unreasonable. Award not susceptible to review.